ThrottleStop is a small application designed to monitor for and correct CPU throttling on many laptop computers. - improved WinRing0 security and memory access by Sam Haskins. - ability to disable and lock the memory mapped turbo power limits. - fixed FIVR voltage names for Skylake and newer CPUs. 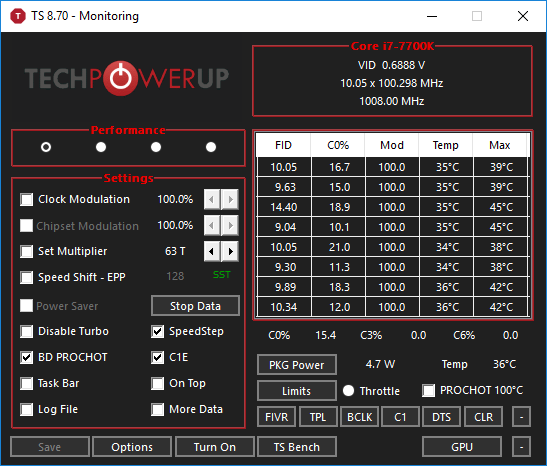 - regular system tray CPU temperature updates in Stop Data mode. - single click system tray icons and new Logo Min option. - smaller Turbo Power Limits window.